It started with a self-exploration of her right breast when my mother felt a small lump. There was no pain, no ache, nothing abnormal except for the lump. This prompt her a visit to her doctor, the doctor sent her to get a mammography. 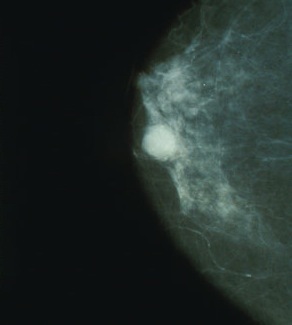 The results reflected a “white spot.” She was referred to a breast cancer specialist. After this statement, I could tell my mother did not hear anything else the Dr. said. I cannot describe what was happening thought her mind nor describe her feelings, but I could sense how worried she was. A month before her breast cancer diagnosis, her older brother had died of Hepatocellular carcinoma also known as liver cancer. She had witnessed the different stages of the disease and everything that involves fighting and loosing the battle against cancer. It was inevitable for my mother not see herself in her brother’s place. It was inevitable for her to predict that the outcome would be the same for her. The biopsy results showed my mother had stage one breast cancer, which meant the cancer was detected at an early state of development. The specialist said: “your mom's cancer is not sensitive to estrogen.” Up to this point I could understand the majority of the concepts explained by the breast cancer specialist but when he started to introduce concepts like, sensitive to estrogen, triple negative cancer, mastectomy, lymph nodes, etc. I realized I needed to learn more on the specific subjects he was describing. When my mother was diagnosed with breast cancer, I decided I was going to take and active roll in her fight against cancer. Not only would I take her to all her Doctors’ appointments but also I would make sure she understood what was happening to her, that way I could continue to be a source of information after her Doctors’ visit. I learned through my mothers experience that cancer patients are overwhelmed not only by the information they are given by different Doctors, but also they are overwhelm with the thought that they can die. I was the extra set of eyes and ears to my mothers Doctors’ visit, and because this was not enough I recorded (with Doctors’ permission) all my conversations with them. The audio bellow is a recording of a conversation between the breast cancer specialist and me when he was explaining to my mother and I what is triple negative cancer. Robert Carlson, MD, of the Stanford Comprehensive Cancer Center, an expert in breast cancer treatment, answers what is triple negative breast cancer and explains a new breast cancer treatment called PARP inhibitors in this video from the National Comprehensive Cancer Network (NCCN). By understanding the type of cancer my mother had, the breast cancer specialist mapped the course of action to eradicate cancer cells from my mother’s body. The plan included the involvement of an Oncologist. The Oncologist would take the “preventive” steps by recommending which type of chemotherapy was the best for my mother’s case. Fortunately, the MRI, the CAT, and PET scan did not detect any other cancer activity in my mother’s body. The surgery was successful and my mother was cancer free on September 10, 2010. Six sessions of chemotherapy followed. They started in November 2010 and were over by April 2011. My mother celebrated her life by walking the Susan G. Komen Race for the Cure in 2011. Needless to say this disease helped her meet wonderful people in different parts of her process: doctors, nurses, group support, and in her own family. My relationship with my mother evolved to a different level. As I promised her at the beginning of the process, I became a companion through her journey. I still am when we go to her follow-up appointments. -“Why did God allowed this to happen to me? Why me?” she said while she was crying.